StarBoard TE-SN80 Interactive Touchscreen Display is the standout collaborative communication tool in its class of the market. This amazing product is a comprehensive package of every quality customers demand, ranging from functionality, ease of use, and technical ability. 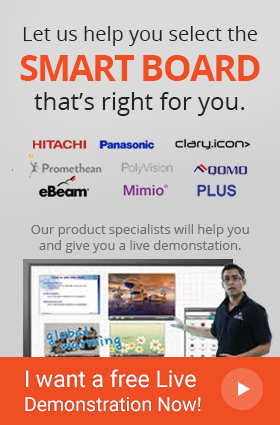 StarBoard TE-SN80 is a huge 80“ touchscreen panel with HD resolution. Its superior display ability enables it to display each and every visual detail as it actually was captured. The TE-SN80 employs the use of IR technology to sense touch points. This gives it the impressive ability to respond to touch almost instantaneously, making its 10 point multi-touch very pleasurable to use, especially when being used for multi user applications. TE-SN80 Interactive Touchscreen Display’s system is programmed to be compatible with every normally used computer device including Windows, Linux, MAC, and Android. This highly appreciated feature rids users of the common workplace problem of the need for drivers when shifting to a different OS. To accompany this feature, TE-SN80 comes installed with the StarBoard Interactive Software that has a wide range of helpful interactive tools to make life easier for professionals. StarBoard TE-SN80 Interactive Touchscreen Display has surely redefined standards for the industry with its features. It is a must for all professional organizations that wish to build a more interactive workplace environment.